New-age medicine offers a lot of unique alternatives and complements to traditional treatments. One kind that is starting to catch on is equine therapy, which has been around for hundreds of years but is becoming common again in the treatment of a variety of illnesses including cancer. In addition to being helpful in treating conditions like anxiety, autism, anger management, and those who have experienced trauma, equine therapy has also proven helpful for cancer patients. The practice of equine therapy has particularly caught on here in the UK, which has one of the highest horse populations per capita in Europe. Equine therapy, or hippotherapy (from the Greek word ‘hippos’ which means horse), puts people and horses together along with a therapist in an environment designed to promote emotional growth and learning. This therapy type is becoming increasingly popular in the UK. No riding experience is necessary and in most cases you won’t be required to ride the horse at all. Part of what makes equine therapy effective for cancer patients is that the treatment has nothing to do with the cancer itself. Therapy sessions typically involve the patient interacting with a horse by trying to lead the horse to a certain place or over a series of obstacles. Patients aren’t given directions on how to get the horse to follow directions, forcing them to make a connection with the horse. Over time, it’s common for a genuine bond to form between the patient and the horse, even if the patient is slow to earn the trust of the horse and get them to follow their directions. It’s common for other animals like dogs and cats to be used in pet therapy, but in a way, horses are the perfect choice for cancer patients. They are large and intimidating animals that are a challenge to control. But this is a perfect metaphor for the challenge of fighting cancer. Once someone has the power to control a horse’s actions, they gain a new perspective on what they’re capable of doing and their fight against cancer. Moreover, horses are naturally social animals that welcome a bond with another being, even a person. Once that connection is formed, it can provide great comfort to the patient, giving them a much-needed escape from their regular treatment regimen or boost the their self esteem and confidence after the trauma of fighting cancer. Many cancer patients who interact with horses report that they are extra gentle with them as if they can sense the illness, even if the horse has a history of being high-strung. This further points to horses being helpful to cancer patients in several ways. 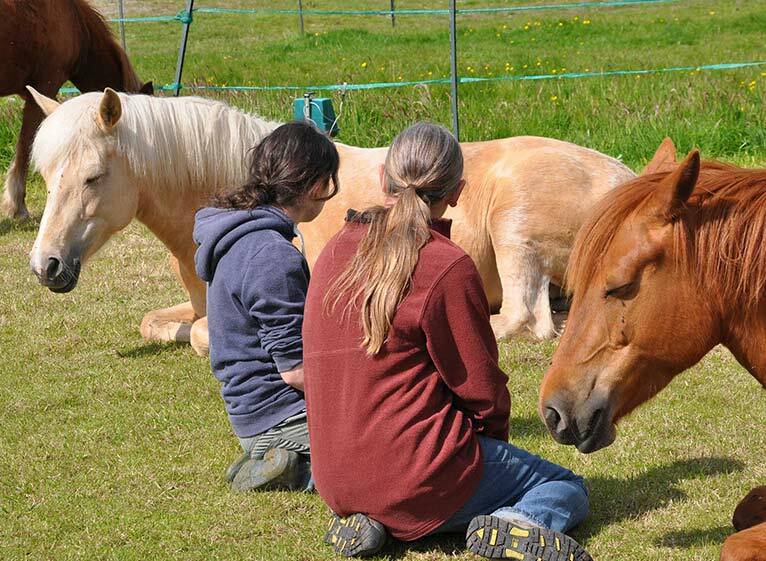 With the amazing advancements in equine therapy in recent years, the UK is now filled with organisations like Bodster on the Isle of Wight, that offer equine therapy for patients dealing with cancer and several other medical conditions. It may not be the primary form of fighting cancer, but it has been shown time and time again to provide great amounts of help to patients along the way. The concept of using horses within therapy can be traced all the way back to ancient Greek times and the writings by Hippocrates who described ‘hippotherapy’ . The technique became popular in Germany, Austria and Switzerland in the 1950s when the therapy was used alongside physiotherapy for those with physical disabilities. In this type of therapy, the movements of the horse were used to influence neuromuscular changes in the patient. 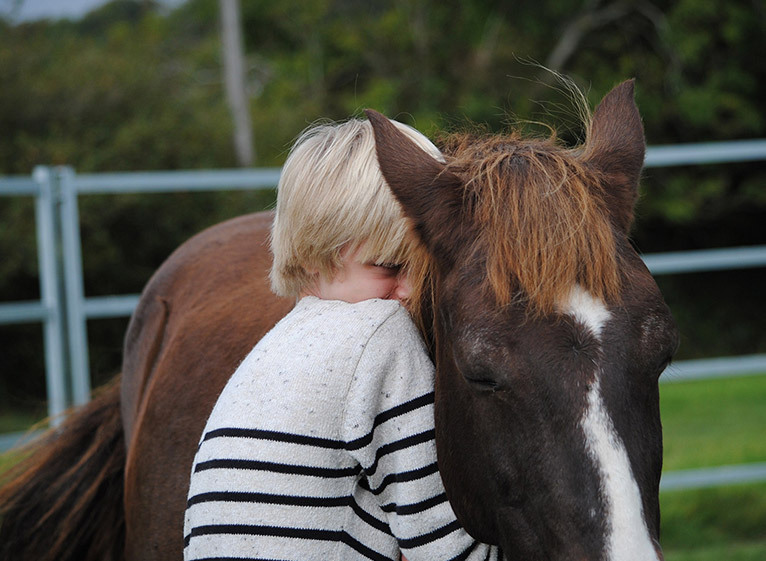 In the last 20 years equine therapy has evolved to include psychological therapy. Today more and more people are discovering how empathetic animals can be in the recovery process. Equine assisted therapy continues to grow in popularity for treatment of kids and adults in recovery from cancer, renewing self-confidence, self-esteem and the joy of life that was lost in the trauma of this life-threatening illness and its debilitating and lengthy treatment. Editor’s note: Caring Cancer Trust will include equine therapy at Bodster on the Isle of Wight in their Kids2Go Healing Holidays .